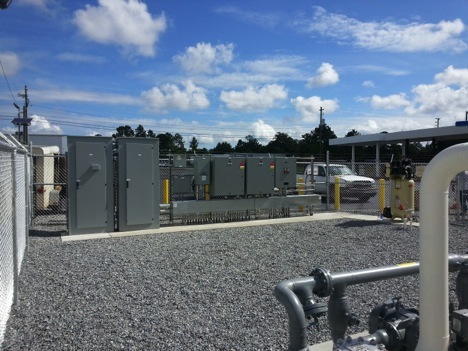 Player and Company constructed a compressed natural gas fueling station in Valdosta, Georgia, that is open for public use. 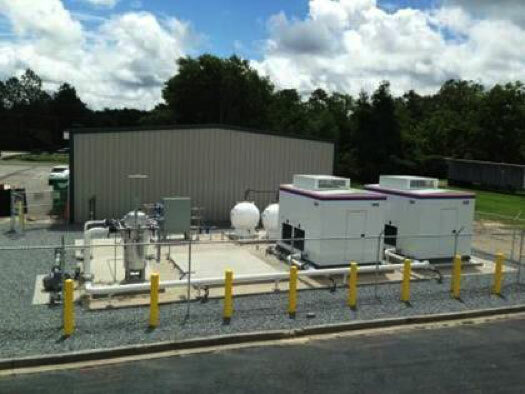 The station consists of two CNG compressors, two natural gas dryers, six high pressure storage spheres, automated valve panel, two CNG vehicle dispensers, and two credit card readers that may be used by any CNG vehicle owner. The station was constructed from the ground up by Player and Company, and is currently supplying 10 times the CNG fueling projected by the owner prior to construction. Player and Company placed all the underground electrical conduits, poured all the concrete foundations, and set all equipment for the CNG station. 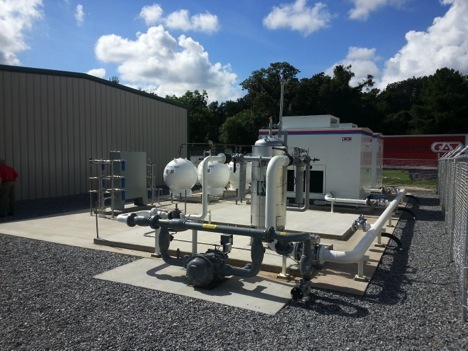 The high pressure stainless steel tubing was installed and pressure tested from the CNG compressors to the storage spheres to the valve panel, and finally, out to the CNG dispensers. Player and Company electricians pulled all power and controls wiring between the equipment. Terminations were made and the CNG station was placed into service. 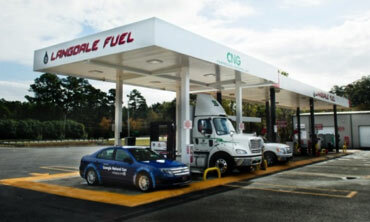 The CNG station is operating and supplying alternative fuel to vehicles from all over the southeastern United States.